Purple penstemon wildflowers splash color across the verdant spring green prairie. 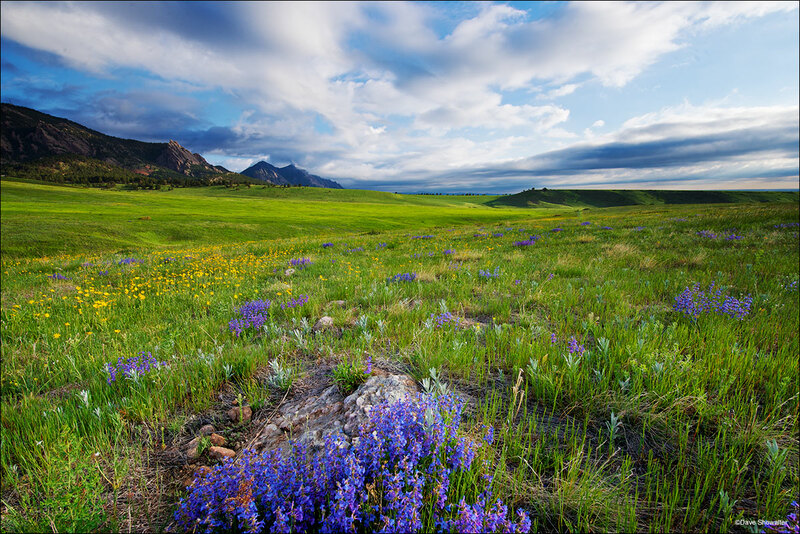 The Flatirons rise vertically above the grassland where prairie and the Rocky Mountain foothills collide. Photo © copyright by Dave Showalter.